Søren Aabye Kierkegaard is generally regarded as the first existential philosopher, however, unlike with many other existentialists, he maintains a strong theological theme throughout his philosophy. Kierkegaard was born on May 5th, 1813 in Copenhagen, Denmark the youngest of seven children, to Michael Pedersen Kierkegaard, an affluent Danish businessman and Ane Sørensdatter Lund, the one-time maid of his father's first wife. His father was a deeply religious man who practiced a particularly pietistic form of Lutheranism and who, for a variety of reasons, was racked with chronic feelings of guilt and anxiety. 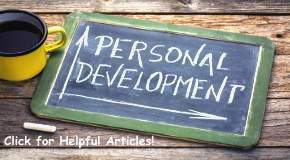 Unfortunately, as parents often do, he had a profound effect and influence on his son and in turn, passed on to him his pessimistic and gloomy religious outlook. For many, Kierkegaard was not a philosopher in the academic sense because he philosophized about what it means to be alive. His focus was on individual existence or the "existing being." In his view, the human being lay beyond the reach of reason, logic, theology, philosophical systems or even "the pretenses of psychology." Accordingly, Kierkegaard brought back into question the problem of existence or "being," which was once the central theme of many of the earliest philosophers before Socrates and Plato introduced the element of reason into philosophy. For Socrates and Plato, existence was accepted as a given, rather than something to be questioned. For Kierkegaard, the whole history of thought was preoccupied with the wrong concerns. From the time of the Greeks, philosophy revered and relied on reason or experience to comprehend and make sense of the world, however, none of the systems produced from that type of thinking addressed the human condition or the fundamental question - what is existence? To Kierkegaard, and existential thought in general, the recurring theme in human existence is the concept of choice and of the responsibilities and burdens it brings to the individual. 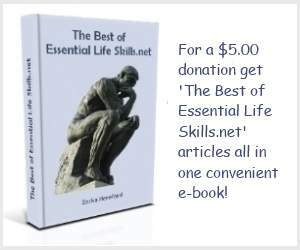 We are consistently faced with the need to make choices and decisions. Kierkegaard complained that: "What I really lack is to be clear in my mind, what I am to do, not what I am to know...the thing is to find a truth which is true for me, to find the idea for which I can live and die." In one of his major works Either/Or, Kierkegaard suggests two approaches on how we can choose to live life - the 'aesthetic', which is hedonistic in character and emphasizes immediate gratification and the 'ethical', which, in contrast, is built on duty and obligation. Each individual has the opportunity to make the choice between these two modes of living. Unfortunately, Kierkegaard ultimately found that neither of these modes, in itself, is realistic nor satisfactory and in his work Fear and Trembling he comes up with a synthesis of the two opposing modes. His answer is the notion of religious faith, which he holds to be a matter of passion, not reason. To Kierkegaard, reason can only undermine faith never justify it. While one can engage in rationalist proofs of the existence of God (as did Thomas Aquinas), these proofs have nothing to do with a belief in God. One must choose to believe in God passionately, not as in an intellectual exercise, but as a genuine belief from within, or as a "leap of faith" without the benefit of reason to reassure us. Any reassurances, Kierkegaard maintains, would remove the need for faith if God's existence were simply a matter of common sense or rational reflection. Not that Kierkegaard was an advocate of the Christian Church in his day. His later works frequently attacked the church claiming that the institution was the antithesis of Christianity. Going through the motions of Christian life, such as attending services or following particular rituals have nothing to do with the religious life. The religious life, or faith, is the only way in which individuals can avoid despair and find their true selves in the believing in a transcendent being. In his writings Kierkegaard made sure to emphasize the non-rational and subjective aspects of the religious mode of existence. He also made the wider point that attempting to achieve objective knowledge of human thought and experience by means of reason, logic and various systems was absolutely futile. He particularly objected to Hegelian philosophy, the then dominant philosophical approach in Denmark, which he felt made concepts and abstractions more important than they actually were. 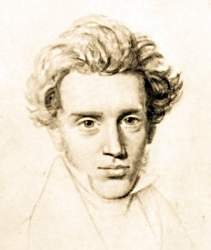 As well as being acknowledged as the 'father of existentialism', Kierkegaard has contributed much to new and original thought including the development of modernism, his view of subjectivity that led the way to a new type of philosophical awareness, and new consideration for the value of human individuality. He likewise challenged contemporary Danish church politics and ardently attempted to revitalize Christian faith. In his prolific and various writings he used irony, satire and humor to dispute conventionally accepted forms of knowledge and value. Kierkegaard's significance as a philosopher is without question. By insisting that the individual and subjectivity, as well as freedom and passion are important, he helped bring philosophy down from the clouds.